The land that the park currently sits on was turned over to the Village on May 19, 1934 from the Steward Estate. 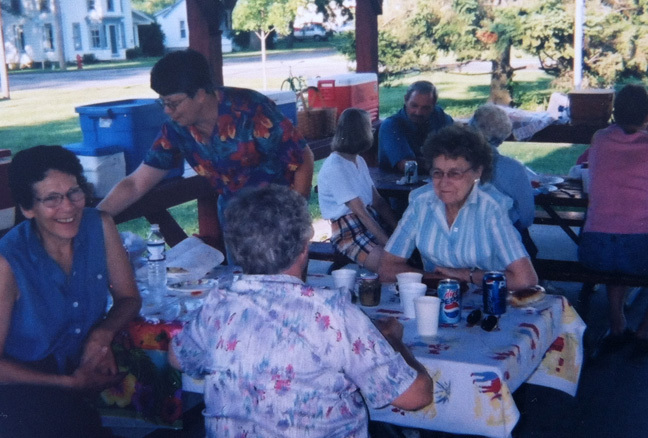 In the late 1960s and early 1970s, residents held an annual Farmer’s Market Day (including a parade, variety show, games, street dance, food booths, etc.) 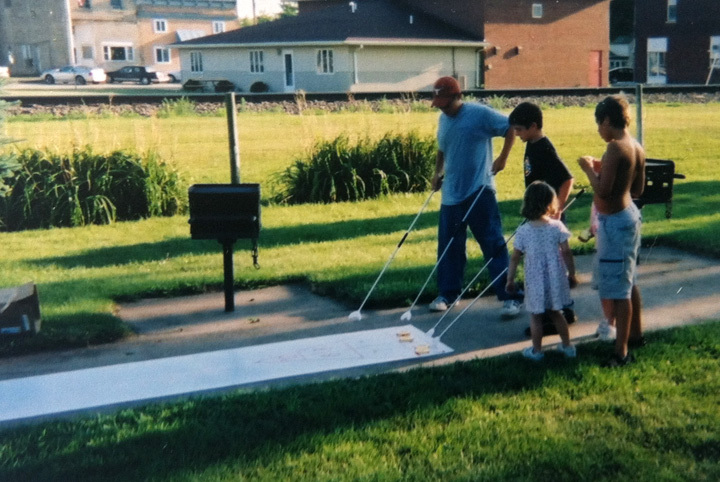 to raise funds to purchase playground equipment and to build the picnic shelter. 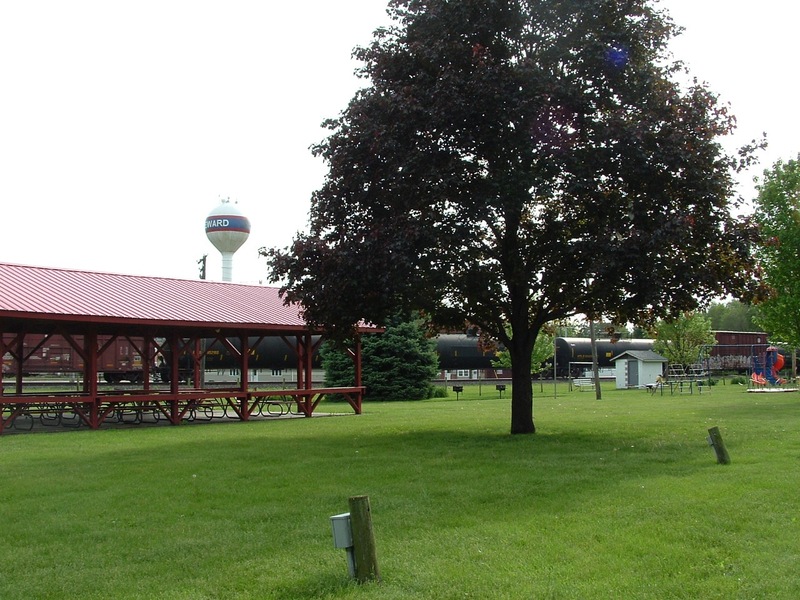 It is still being enjoyed today by all who stop by to watch the trains go by, enjoy a picnic, play on the equipment, or just relax for a bit. 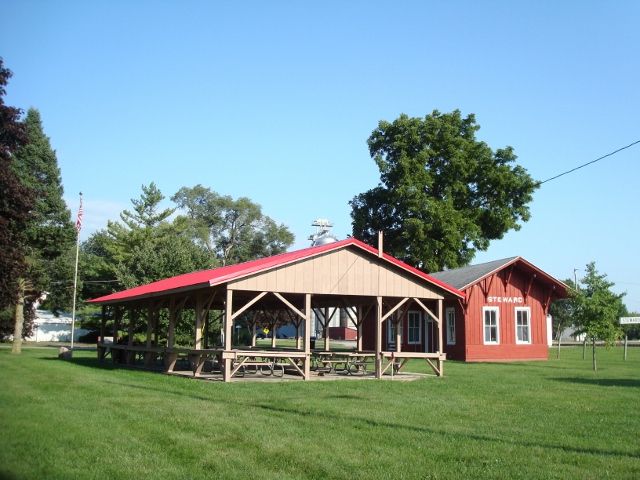 Families also rent the shelter for special events for a nominal fee, at which time the restrooms are cleaned and opened. 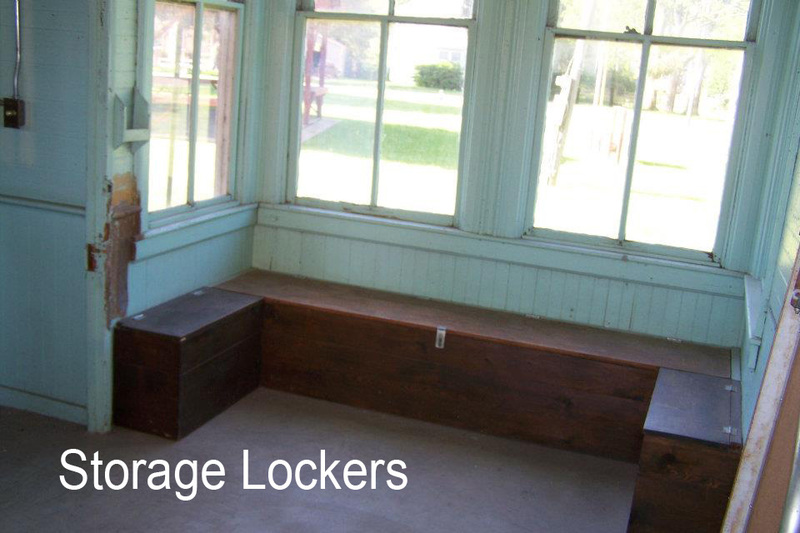 To rent the shelter, call Hugh at 815-970-2017. 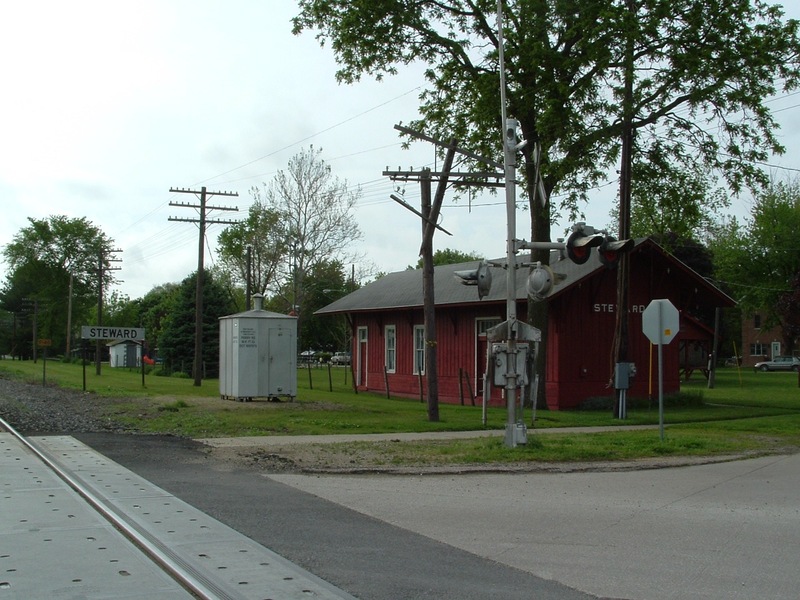 Wesley Steward, the founder of the Village of Steward, negotiated with the Chicago and Iowa Railroad officials to finish the railroad line from Hinckley to Rochelle in 1870. 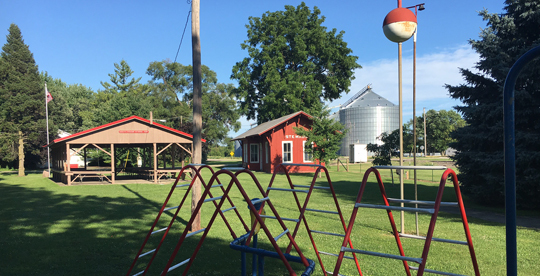 Alto Township residents took out $32,000 in bonds to get the track laid, and many farmers helped with this task. 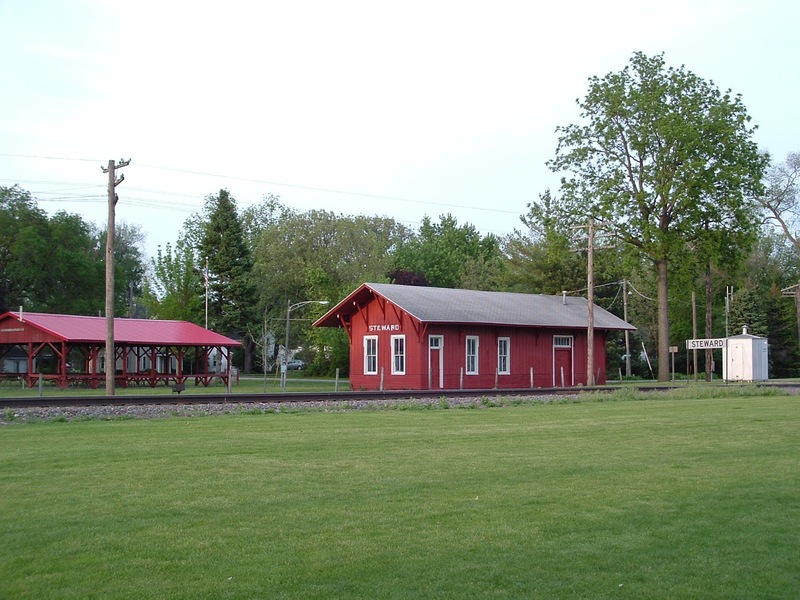 Regular trains did not run on the Hinckley Railroad (as it was called at first) until April 1871, there being only one train a day until 1872. The railroad offices and warehouse were in Steward’s barn at first. 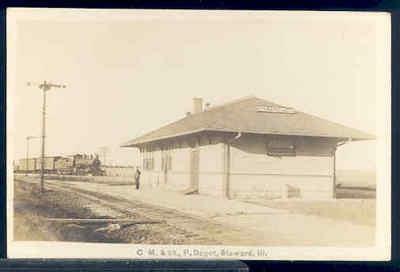 The first depot was built in 1871 and is believed to have burned down in 1894. The present structure was built in 1896. 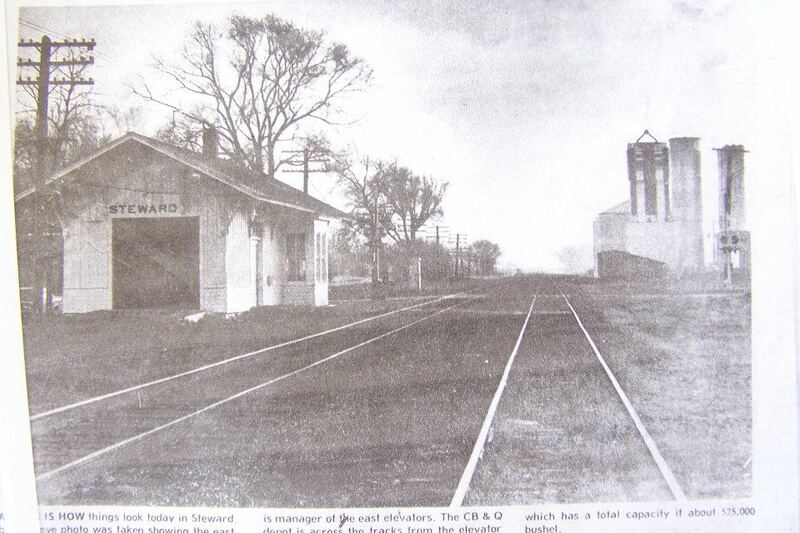 A coal shed and stockyards were east of the elevator. 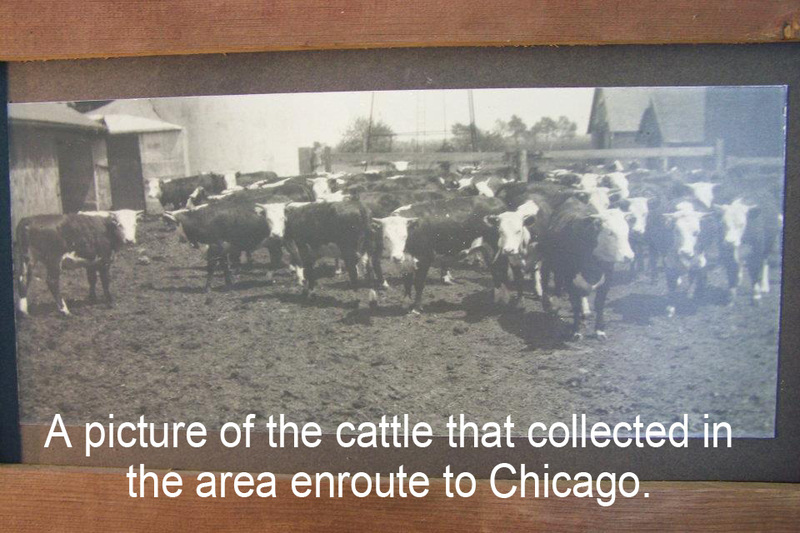 Livestock was shipped to Chicago to the markets. 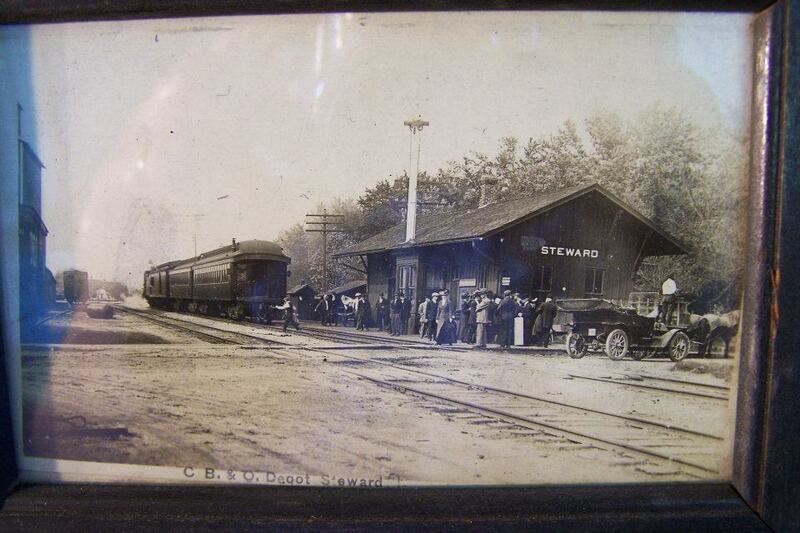 At one time there were eight daily passenger trains through Steward; four made stops in Steward – two going east and two going west. 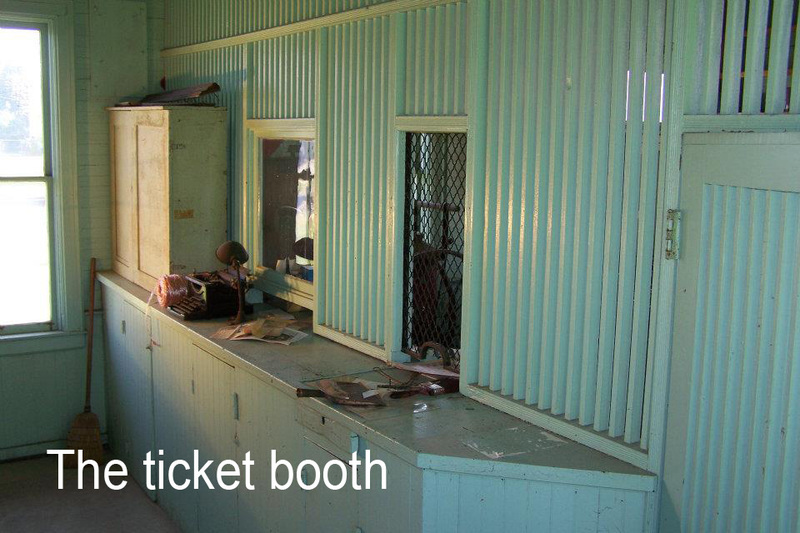 Passenger service stopped before 1970. There were two tracks through the town, but one was removed. 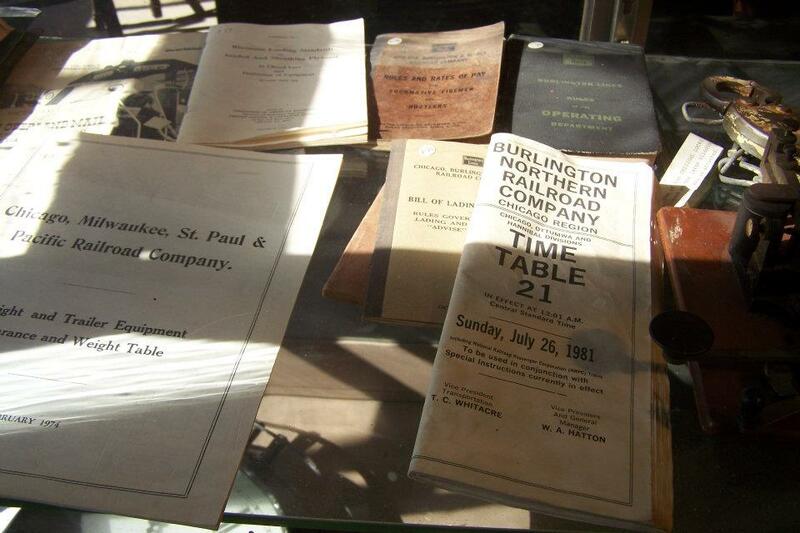 On March 3, 1970, the C B & Q Railroad became the Burlington Northern Inc. 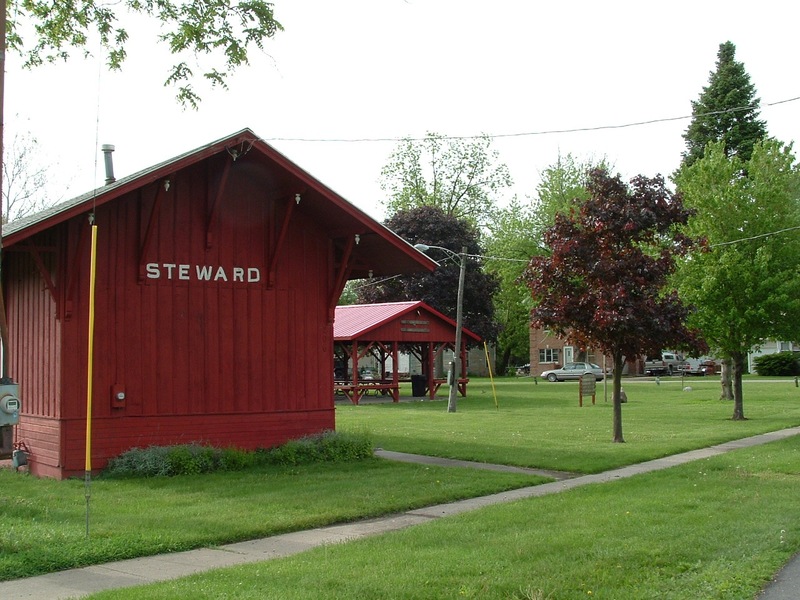 In 1976, the Burlington Northern Railroad deeded the depot to the Village of Steward. 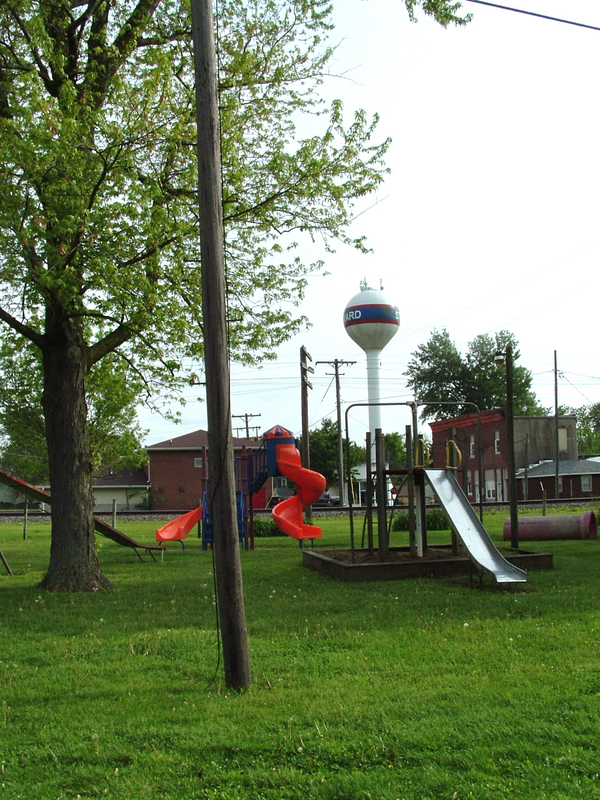 The depot was moved into Wesley Steward Memorial Park, turned 180 degrees, and placed on a new cement foundation. 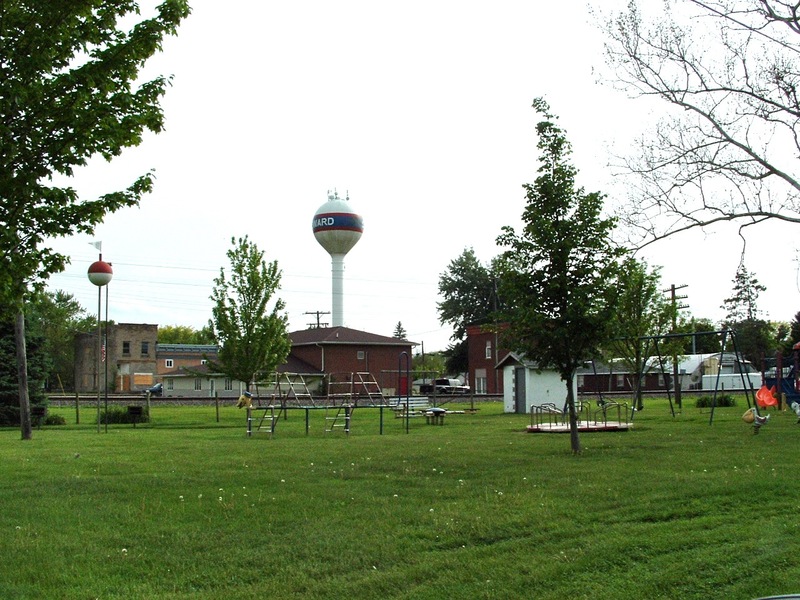 The Village decided to turn over the care of the depot to a private group of citizens – The Depot Committee. 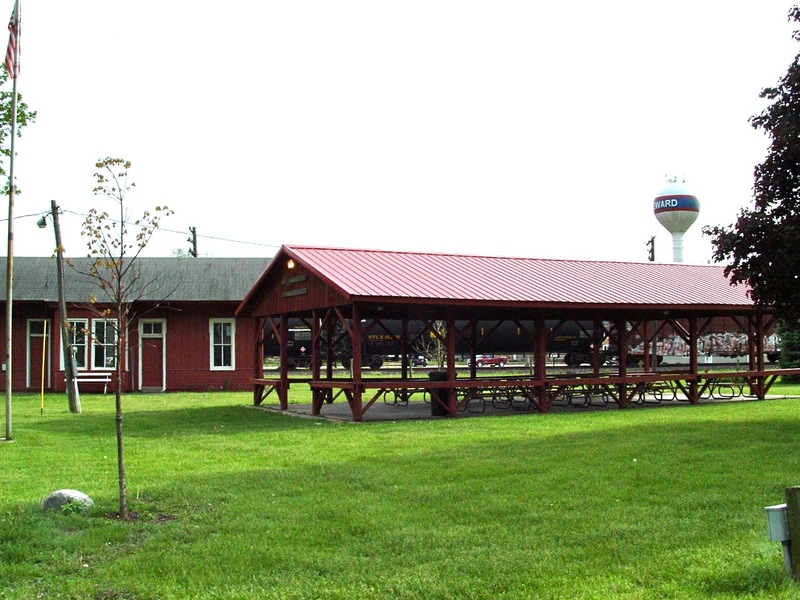 In 2003, The Depot Committee came under the management of the Village Board once again. 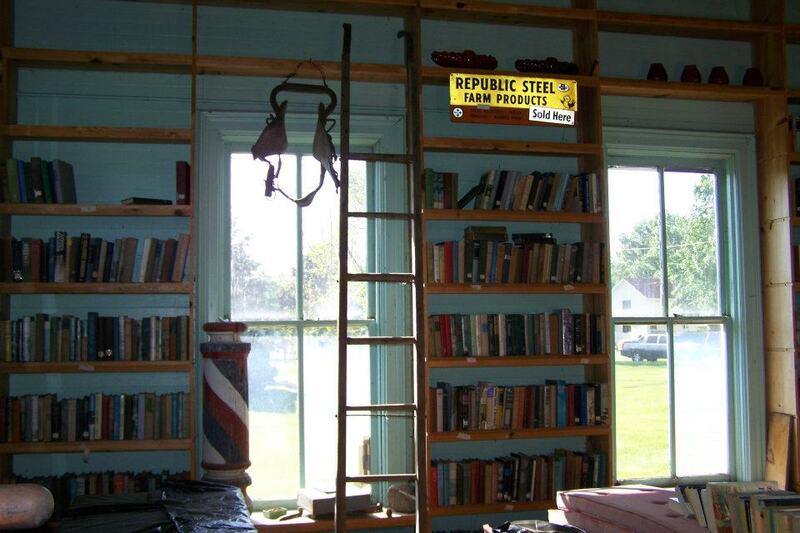 The inside of the depot has been turned into a museum to accommodate all of the historical items that have a special place in the history of Steward, as well as items that have been donated by residents, past and present. 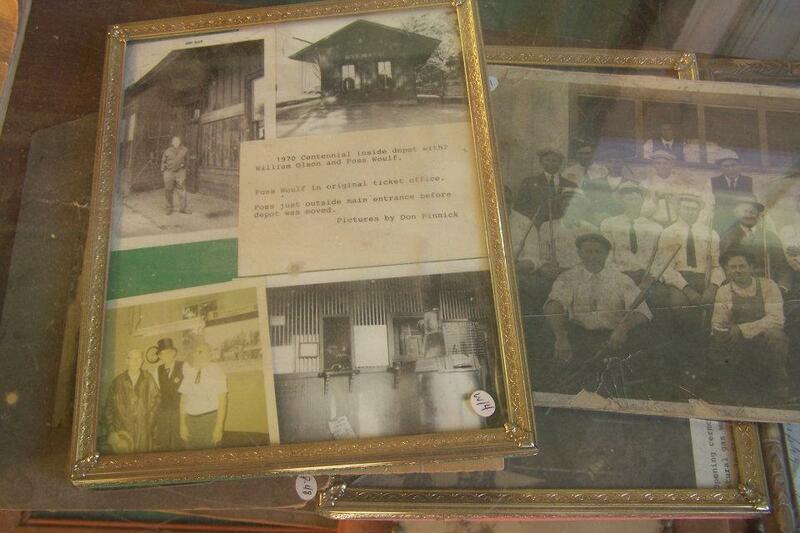 Resident volunteers have done extensive work cataloging and sorting the many items that fill the depot. 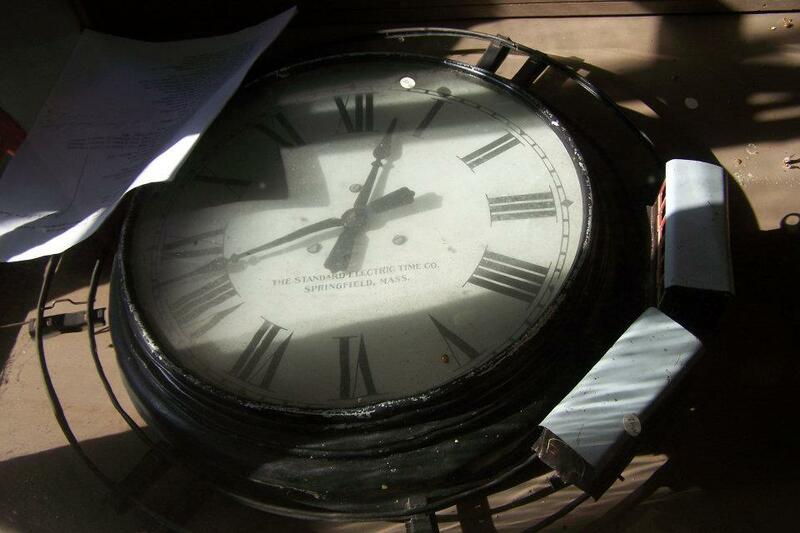 The museum is open for special fundraising events throughout the year (i.e. 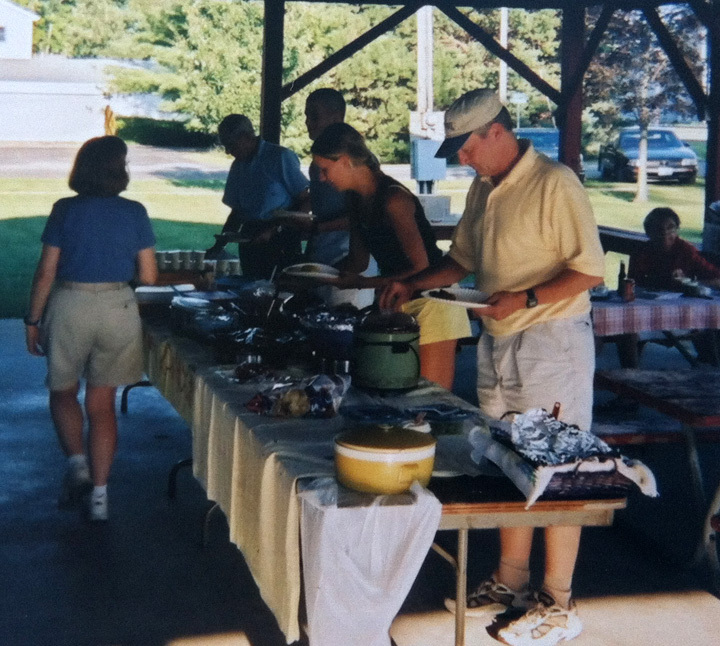 bake sales, luncheons), and by appointment. 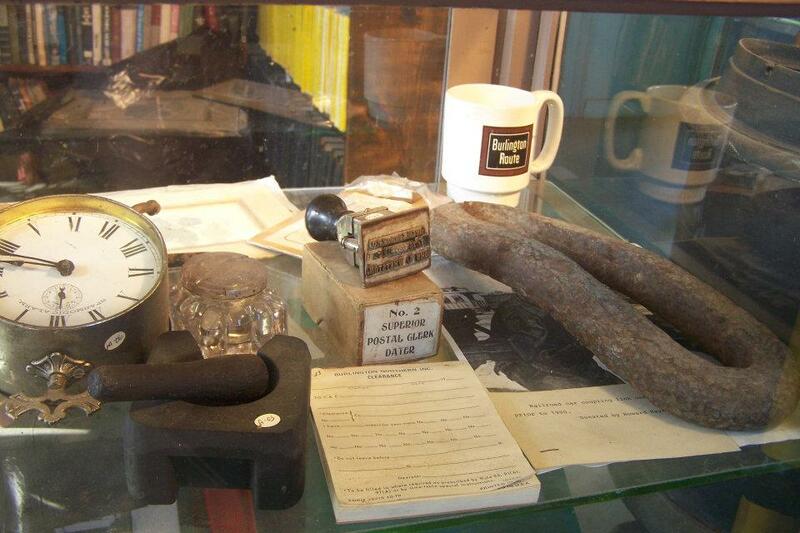 Fundraising efforts are ongoing and donations would be greatly appreciated in order to maintain and preserve these items, as well as the historic depot.